Christmas is not only the season to be jolly, but it’s also the best time of the year for you to up your sales and ensure that your marketing strategy is working effectively. There’s no better way to do this than by giving your company’s website a festive makeover. 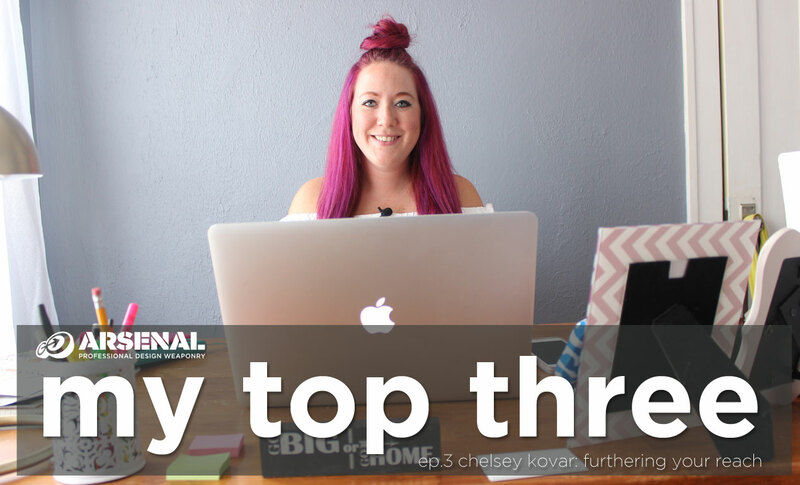 Even if you are just starting up your company, or perhaps you work for a larger corporation that needs some creative inspiration, remember that your site provides customers with a window into you products and services. If your website isn’t positioning your site effectively, then your sales and potential leads will suffer as a result. Worry not, however, you can make a few small changes across your site to make sure that this Christmas time your earnings remain sky high. Don’t be afraid to use the magic of the Christmas period to truly let your imagination run wild – your customers will love you for it. From publishing some festive blog posts, to adding in a few seasonal references to your homepage, you should be making the most of the holiday to promote sales and push products that are your key earners. First, start by giving your site’s content a quick review. Remember to get rid of any dated or irrelevant content as this will be affecting your overall site user experience. Now you can start to create new festive articles and posts that truly inject some fun into your site. 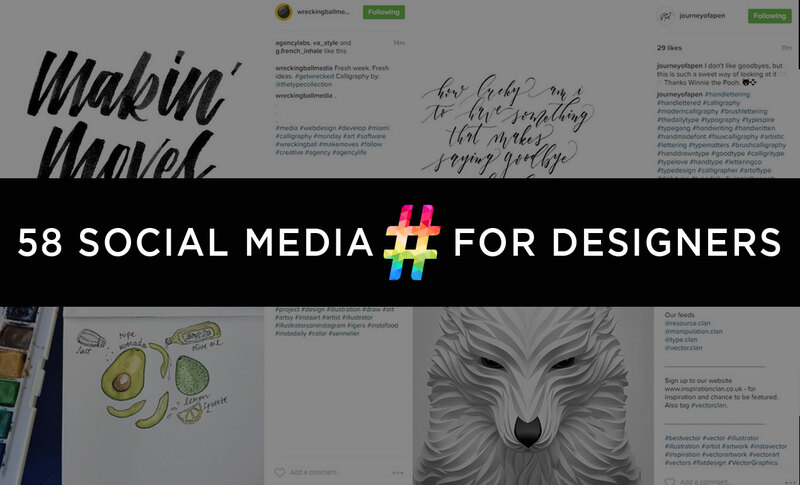 From logos to gifs, iconography and even imagery, if you are allowed to – then why not get creative? You are sure to see traffic increase as your customer base share your site with friends and family too. Sure you might be already, but is it complementing your site. An effective website and social media should go hand in hand and the chances are that if your traffic is down on social, your website will suffer. Make sure that you schedule regular posts and use social media channels such as Twitter and Facebook to let your followers know about any festive open days or events. From upcoming sports game tickets to flash sales, social media is a powerful tool. Make sure that you keep your content calendar running across the entire festive season too, as this will ensure optimal results. You might want to relax and unwind this Christmas but don’t let all that food and drink make you lazy! When it comes to making your website stand out, you should be posting, tweeting and checking content on a daily basis over the holiday season. Not to mention you will want to make sure that you are keeping ahead of your competitors. So if you thought that you were going to spend all season resting, then think again. If you truly want your website to stand out and reap rewards then you will need to make sure that you put the effort in. 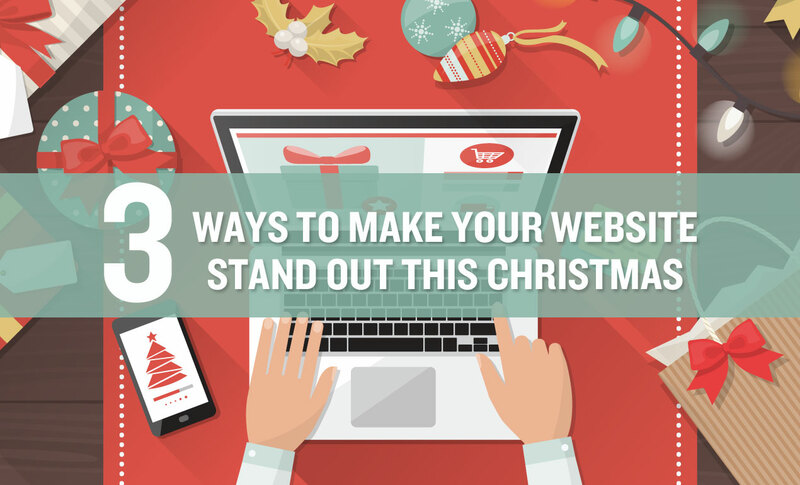 Social media, fun festive content, and dedication are key to making your website stand out this Christmas. 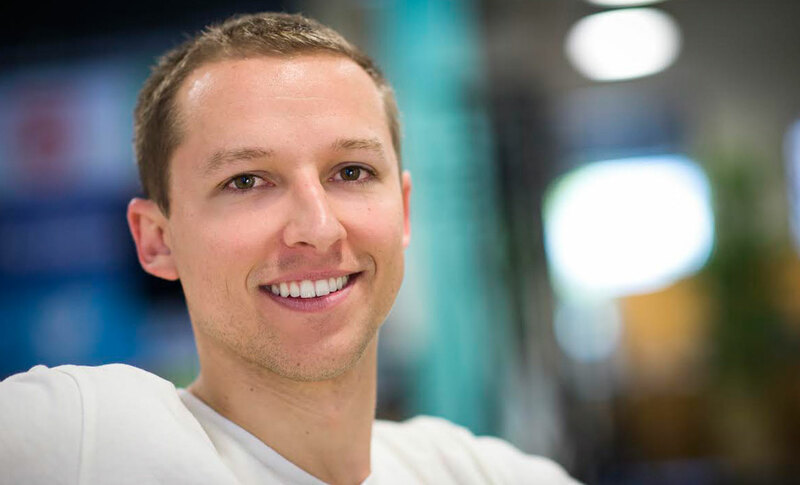 By being named one of Inc. Magazine’s 30 Coolest Entrepreneurs under 30, Zach Spitulski (Enplug) has been grouped with the likes of Mark Zuckerberg, Elizabeth Holmes of Theranos, Hayley Barna and Katia Beauchamp of Birchbox, and Drew Houston and Arash Ferdowsi of Dropbox. Not a bad crowd to run with, right? 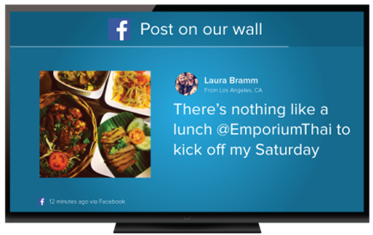 Enplug is a revolutionary digital signage software company. 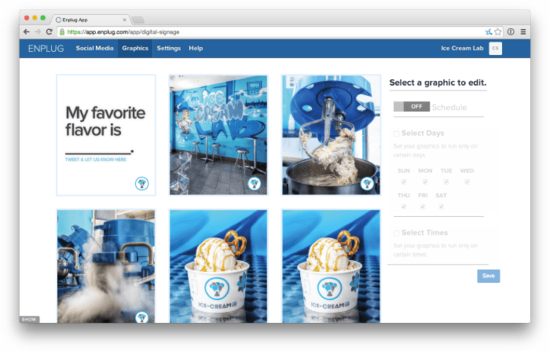 Because it uses a universal operating system and app marketplace, businesses can showcase engaging content real-time, integrating social media with ease. This means that businesses using Enplug can essentially turn their displays into a giant smartphone, making their content approachable, relevant, and engaging. Go Media was excited to sit down with Zach, Creative Director at Enplug, to learn about how Enplug did it. What worked? What didn’t? What tips did he have on becoming an entrepreneur? Zach, Enplug: I was at attending UCLA at the time. I was on a Southwest flight (open seating) to San Francisco to see Pink Floyd–I tripped over a bag and ended up sitting next the the guy’s bag that I tripped on. His name was David Zhu, an original founder of Enplug. I showed him some things I was working on at UCLA and he asked me to join his team. It was the summer between Junior and Senior year at school, I had to decide: school versus dropping out. Go Media: So, goodbye UCLA? Zach, Enplug: In school, I thought I wasn’t doing enough. I remember being unhappy just doing school. I was preoccupied with wanting to do something else…something that utilized what I was capable of. I was always itching to do more. It was a simple decision for me–I just decided to believe. Convincing my parents that it was going to be okay was tougher. Go Media: So, what happened next? Zach, Enplug: UCLA ended up being accommodating and said I could come back if it didn’t work out. So, I started working with Enplug. 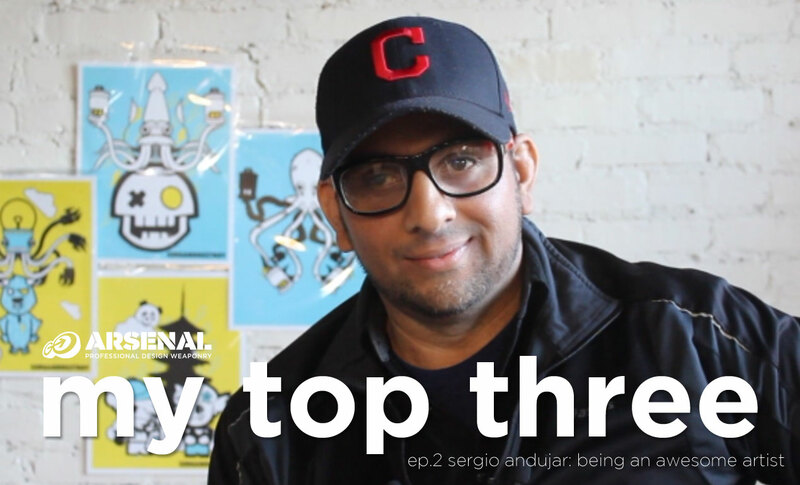 Through David, I met Nanxi, Enplug’s CEO and Navdeep, but I call him Petey…Enplug’s CIO. After I decided to leave school, we all pooled our cash and lived in Koreatown in a 1 bedroom. It was cozy living–there were 4 of us and an engineer. We worked the whole summer and then pitched to Start Engine. Go Media: Out of all the incubators out there, why Start Engine? Zach, Enplug: We applied to a few: Y-combinator and others, but Start Engine had Howard Marks. He knew interactive space and seemed savvy in the industry. We thought he would have the guidance and the opportunities to raise a good base. …And he did. We moved out of the 1 bedroom at the end of 2012 and then rented a house in Bel Aire. It’s actually the same house we still have. About a dozen people still live there, but now we have offices in Culver City. In the beginning, we were trying to convince people to find organic growth. But now we’re a leader in the space, especially in the LA space. We’re very prominent, and it’s really exciting to see. My friends, or even just other people will say, “Hey, I saw the Enplug software running here,” to me most of the time. We’re locally relevant with big goals. We’re not just in LA–our software is used across the world. Go Media: Let’s talk more about your evolution of sorts–what are your company’s goals now? Have you changed them since you started? Zach, Enplug: When first started, we wanted to rework the space. When we looked at what the space was offering, it seemed prehistoric. “Where do we start?” Was our biggest question. Well, we had to start over. “Let’s rebuilt this,” we thought. “Let’s make it interactive, scalable, and reliable with a software development kit.” Essentially, we wanted to show people we could tap into social media and make it work. In that respect, we have similar goals. Now we’re modifying our own product and making sure we stay ahead in the space. Go Media: Let’s talk about your team. It started with a small, core group, and now you have a team of over 50 people across the U.S, Africa, and Europe. How do you build a successful team? Zach, Enplug: It starts and ends with the people. You have to trust each other. Honestly, you have to get along with one another. We’re strong on having a good vibe. With David, I trusted him. I believed it. I was willing to take the risk. People who join now have the at similar trust and belief. Go Media: So far, it all sounds like rainbows and roses. Let’s dig deeper. Can you tell us about a mistake that you’ve made on your entrepreneurial journey? Zach, Enplug: Personally, I always should trust my gut. A few times, I ignored it. Whether when I was hiring staff or a making a decision on the product–the decision seemed logical and rational, but my gut didn’t like it. For hires, for example, there have been qualified hires with previous success at various companies. But my gut said that maybe they weren’t a cultural fit. We’ve done it a few times, and it’s always been a mistake and always causes more problems than it’s worth. Trust your instincts.